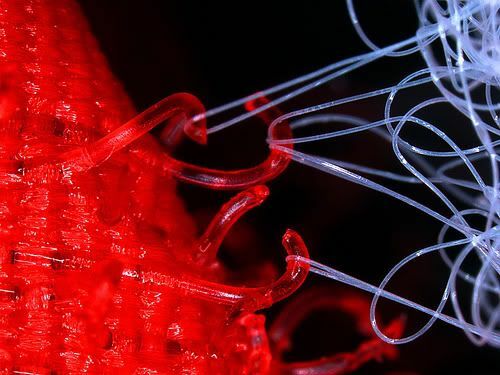 Ever wonder what velcro looks like up close and personal.....and in neat colors? Yeah, me either, but now that I've seen what it looks like, I'm glad I know, hehe. Kinda cool, huh? Go here for more up close and zoomified shots. ha ha that is pretty neat! Velcro. Sticky. Colors. Colours. Pretty. Hooks. Spores. Cool stuff.